Welcome to Unit 9 of the PHONICS4Reading curriculum! This program is designed to help students go from “learning to read,” to “reading to learn.” This phonics program provides year-long practice through interactive hands-on activities. What Standards & Skills will be Covered in this Unit? Know the spelling-sound correspondences for words with soft c & g.
Decode regularly spelled words with soft c & g sounds. Know the spelling-sound correspondences for words with y as a vowel. --> Be sure to download the PREVIEW file so you can see pictures and more information about all of these components. 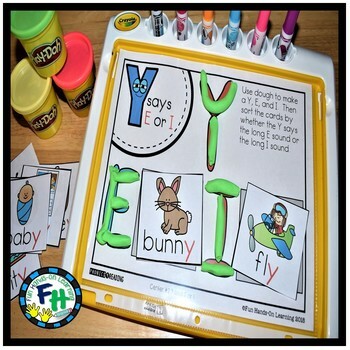 Phonics Readers: Easy books that focus on soft c & g words, and words with y as a vowel. Activity Centers: Hands-on activity centers that provide for skill mastery, and are standard-aligned. Fluency Strips: Half-sheets that students can practice over & over again for fluency with soft c & g words, and words with y as a vowel. 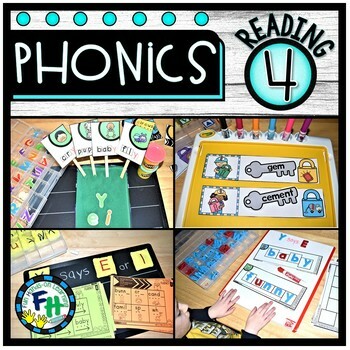 Flip-It Activity Books: Interactive phonics cards attached to book rings that give students specific practice in soft c & g words, and words with y as a vowel. 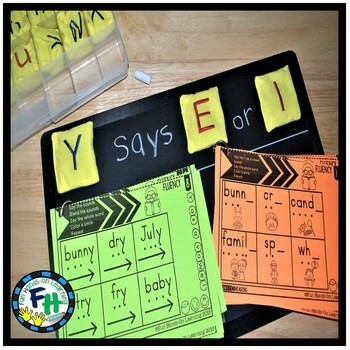 Fill-It-In Mats: Mats that students will “fill-in,” for soft c & g words, and words with y as a vowel. 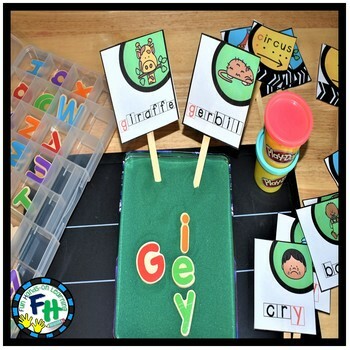 Flash Card Sticks: Flash cards attached to craft sticks for soft c & g words, and words with y as a vowel. Build-It Strips: Strips for “building” soft c & g words, and words with y as a vowel.